If you’ve see Nissan Canada swaggering around lately, there’s good reason for it. The Canadian division of Nissan Group – much like its American brother – boasted killer sales in 2014, vastly growing their customer base and setting company sales records. In an economic climate that had buyers demanding “value!”, Nissan offered it with a lineup of competent, ‘smart buy’ vehicles. Not bad for an automaker that was getting pretty invisible just a few years ago. If you think of Nissan as the overlooked high school football player who scores the winning touchdown in the last seconds of the game, I think they can be forgiven for any showboating. In November of this year, the company’s Nissan and Infiniti brands posted a combined 21.5% year-over-year sales gain compared to Nov., 2013. Year-to date, Nissan Canada sales were up 28.2% in the first 11 months of 2014. These are serious gains – enough to push Nissan into the Number 6 spot in Canada’s brand ranking and capture 6.3% of the market. On Nov. 13 of this year, Nissan Canada celebrated another milestone when they passed the 100,000 units mark for the first time since entering the Canadian market in 1966. 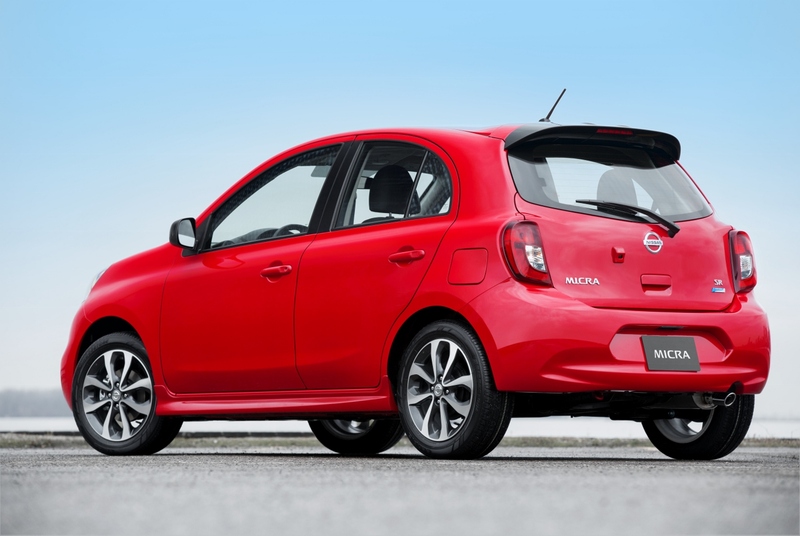 Leading the sales surge was the popular Rogue compact crossover (sales up 77.8% year-to-date), the spacious Sentra sedan, and the surprise success of the Micra subcompact, which was touted as Canada’s cheapest car ($9,998) when it went on sale this past spring. A total of 924 Micras left dealer lots in November, with 6,987 sold between April and November. Even the all-electric LEAF, which has been on the challenging EV market for several years now, posted a 131% year-to-date sales gain, topping 1,000 units sold in 2014. The automotive landscape at Nissan looks to remain fairly unchanged for 2015 – after all, why mess with a good thing? – but the company will have to keep on its toes to ensure it doesn’t lose any of the ground it gained this past year. With gas far cheaper than it was a year ago, it seems opportune that Nissan’s newest models – the redesigned Murano and next-generation Titan pickup (to be unveiled in January) – are on the large side of the vehicle spectrum. Having had such success in the small car market, it would make sense that Nissan would seek to make gains in the large vehicle segment. This entry was posted in News and tagged Micra, Nissan, Nissan Canada, Nissan LEAF, Nissan Rogue, Nissan Sentra, Sentra on December 28, 2014 by Steph Willems. 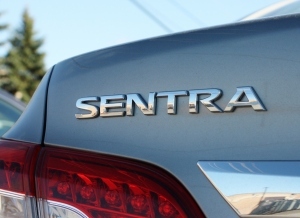 Besides doing big business, the 2014 Nissan Sentra boasts size – both inside and out – at the top of its class. 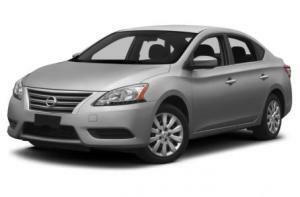 If you’ve been seeing a lot more Nissan Sentra’s plying the roads lately, it isn’t your imagination. Buyers have been snapping up the Sentra like canned goods before a Category 5 hurricane, giving the traditional compact car players a run for their money. This is a big step back into the spotlight for a venerable model that had become almost invisible in Nissan’s lineup. October sales in the U.S. show a staggering 56.3% increase over the same month last year, while year-to-date sales are up 44.7% over 2013. 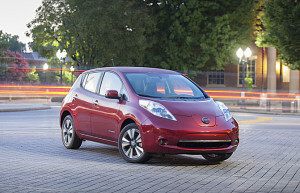 In Canada, Nissan moved a total of 1,372 Sentras off dealer lots in October, compared to 1,178 in Oct., 2013. One thing I can’t help but notice when I see one is its size. You’d swear it was pushing into mid-size territory. If this were the 1990s, you couldn’t tell me the 2014 Sentra is smaller than a Chevy Corsica or Ford Contour. After seeing this sizeable compact eleventy billion times, I figured it was time to get down and dirty and compare measurements, just to see if my eyes were deceiving me. Dimension-wise, I compared the Sentra to other popular vehicles in its class – the Toyota Corolla, Honda Civic, Mazda 3, Ford Focus and Chevy Cruze. Cargo volume was thrown in for good measure, because who doesn’t look a big trunk? 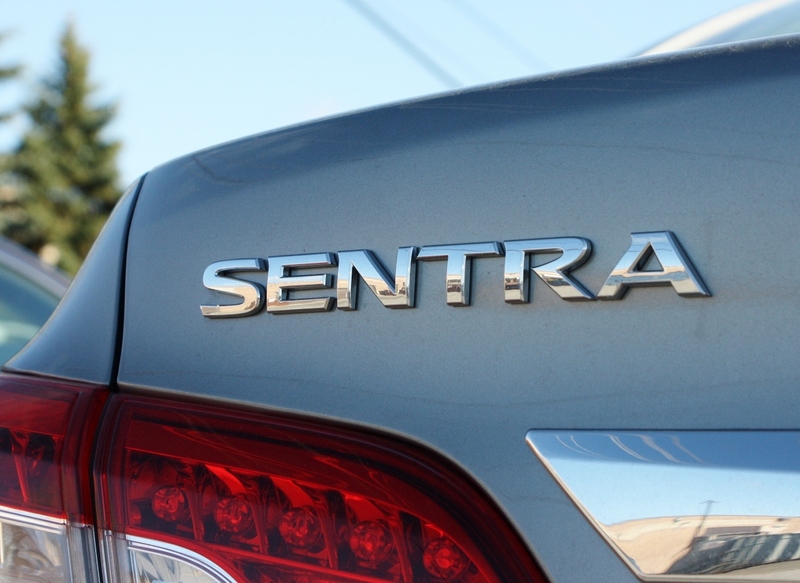 Going by factory spec, it turns out the Sentra is indeed on the large size, coming in at-or-near the top of its class in terms of length and wheelbase. At 182.1 inches in length, only the Toyota Corolla bests it, and that’s only by five-tenths of an inch. This was somewhat surprising, as the Corolla in my eyes – appears a little stubby. The Sentra’s wheelbase, 106.3 inches, was matched by the Corolla and the Mazda 3. Trunk space, at a generous 15.1 cubic feet, was at the top of the pack. The closest challenger was the Cruze at 15 cubic feet. The other four vehicles ranged from a measly 12.4 cubic feet in the Mazda 3 to 13.2 cubic feet in the Corolla and the Focus. The Sentra makes no sporting claims in its advertising, preferring to sway car shoppers with value. Offering lots of space for the money is a time-honoured tactic that seems to work well, assuming that the product is at least of fair quality. With the other brands in a sales tug-of-war fueled by claims of driving excitement (and a healthy dose of name-recognition), it seems the folks at Nissan made a conscious choice to go big, or go home. This entry was posted in News and tagged Nissan, Nissan Canada, Nissan Sentra, Sentra on November 9, 2014 by Steph Willems.